Our sponsors are what keeps our program free for Grandville High School students. Sponsorship dollars help us register for and travel to tournaments, help us buy all the parts needed to build world class robots, and keep our students trained on how to use the equipment in our robotics center. 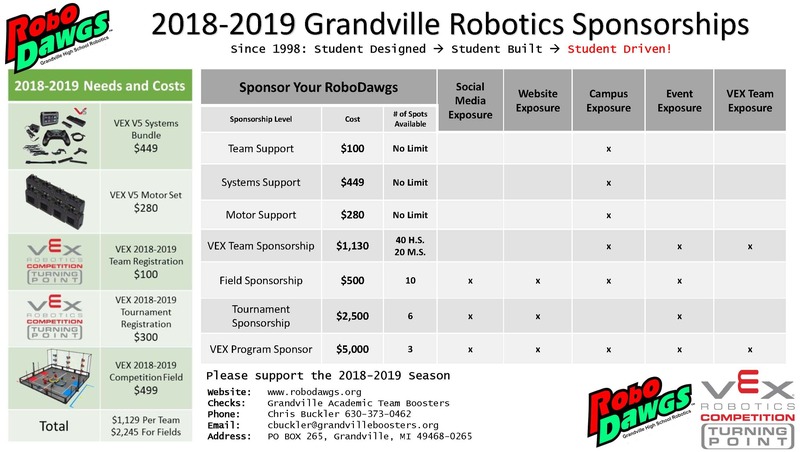 Click the button below to start the process of sponsoring the RoboDawgs!